The 69th Mostra Internazionale d'Arte Cinematografica della Biennale di Venezia (Venice International Film Festival) draws to a close with a controversial concluding awards selection. The jury headed by Michael Mann had been prepared to present four awards to Paul Thomas Anderson's The Master. They had intended to give the film the Golden Lion for Best Picture, the Sliver Lion for Best Director and the Volpi Cup for Best Actor to both Joaquin Phoenix and Philip Seymour Hoffman. However, they were informed that new festival rules prohibit more than two major awards going to one film. 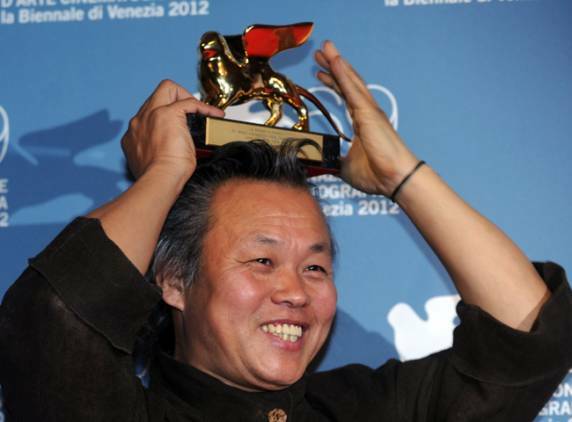 The jury had to reconvene and after a heated discussion, they chose to give the Golden Lion to Kim-Ki Duk's Pieta while Ulrich Seidl took the Silver Lion for Paradise: Faith. The Master was given a Special Jury Award in addition to the shared Volpi Cup. It also picked up a FIPRESCI Award (Competition) from the critics' group. Pieta was also the recipient of the Leoncino d'Oro Agiscuola Award, P. Nazareno Taddei Award and the Mouse d'Oro Award. Paradise: Faith also won the CinemaAvvenire Award for Best Film of Venezia 69. Other winners included The Interval, Fill The Void, Dormant Beauty, It Was The Son, Something in the Air, The Human Cargo, The Fifth Season, Bad 25 and Wadjda.